Incorporate some of these must-have details for your half bath to get a gleaming five-star review from your houseguests. Hosting family or friends is an equally exciting and stressful experience for all. 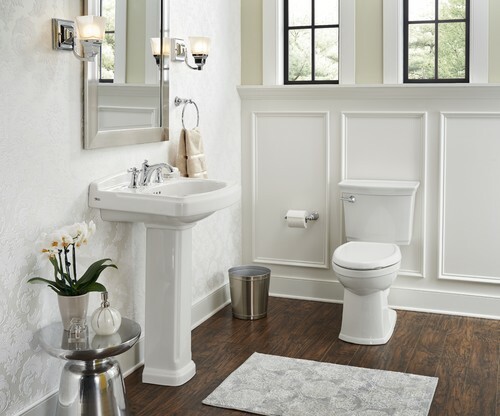 Having a comfortable guest bathroom is key and you’ll want to deck it out with all the necessary supplies to avoid awkward run-ins, like guests asking for more toilet paper. Envision what you expect from hotel bathrooms and incorporate some of these must-have details to get a gleaming five-star review from your houseguests. All about appearances. The first thing you should establish in your guest bathroom is a good look. Replace flickering and ill-placed lights with new sconces or vanity fixtures to create a warm and welcoming ambiance. Since this is also where your guests might be getting ready for the day or touching up in the evening, provide an adequately sized mirror. A full-length mirror is ideal, but if your room or budget doesn’t allow, look for an inexpensive over-the-door option. Storage and supplies. It’s imperative to provide sufficient storage space and supplies for your houseguests. Load up your vanity with basics such as towels, tissues, soap, lotion, air fresheners, a first-aid kit and feminine supplies. If you’re hosting overnight guests, allow them their own storage space to lay out the toiletries they bring along. Empty a drawer or bring in a freestanding storage unit for their personal belongings. A tidy toilet. Two of the most important items to include in any bathroom are plungers and toilet paper. Making sure these items are available will reduce potential awkwardness and embarrassment for both parties. There are many discreet plungers for sale today and you can store extra TP rolls in a stylish wire basket for a trendy look, as seen here. Tip-top trash. Function is often sacrificed for style, but in the case of wastebaskets, practicality should reign above all. You’ll want to provide a large bin, preferably with a lid and empty it on a consistent basis. Hampers are also a nice touch to keep soiled linens out of sight. Be sure to replace them with new, fluffy towels regularly too. Open up for overnighters. If you’re hosting long-term or overnight guests, a stock of toothbrushes, toothpaste and face washes will come in handy. Fresh towels and a hamper for dirty linens are also must-haves. For bonus points, pamper your guests with soft robes and slippers. 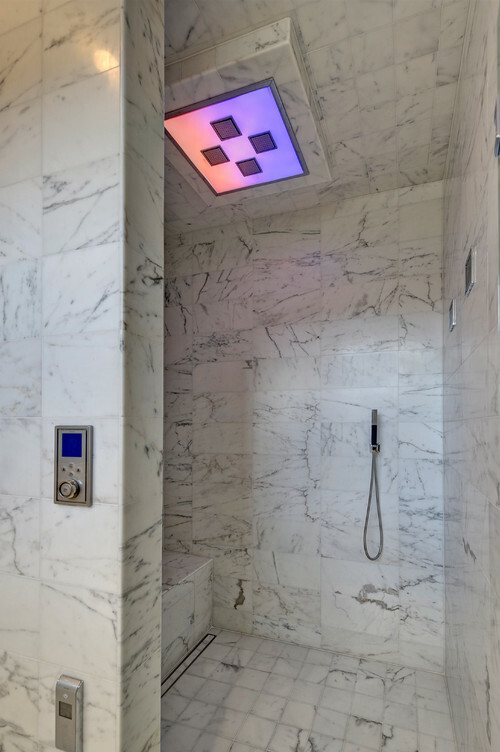 If you have a finicky shower faucet system in your master bathroom that your guests have access to, leave a note explaining how to adjust the dials for a stress-free wash.
From towel warming drawers to curbless showers, here are the top bathroom trends for 2017. The bathroom design trends of 2017 have arrived! 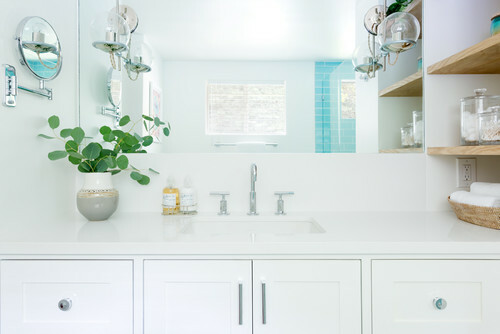 While you shouldn’t redo your entire bathroom based on these trends, you can redo some smaller projects that will last. Here’s a look at the latest in bathroom amenities and décor for your consideration. 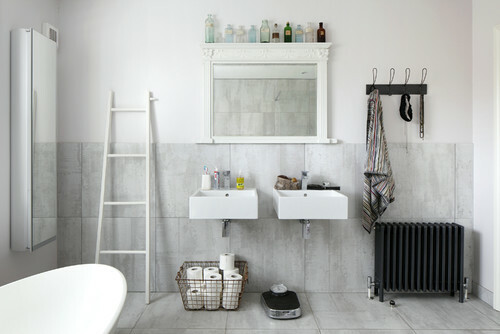 Heated bathroom flooring is a growing trend among many homeowners. It comes in concrete, vinyl and tile options, which makes it easy to match your existing decor. In addition to providing heat to the entire bathroom, heated flooring also helps to reduce noise and prevent the spread of dust and other allergens. Built-in refrigeration units — used to store organic remedies and medicines — are also popular bathroom additions. Towel- and robe-warming drawers are also trending in 2017. Designer sink fixtures; free-standing, single-person bathtubs and walk-in showers are popular one-off bathroom additions. 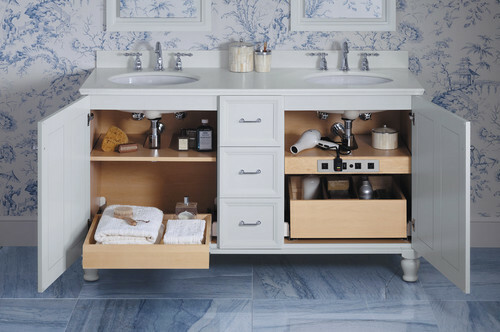 Space-saving shelving in place of traditional cabinetry is also a sought-after bathroom upgrade. 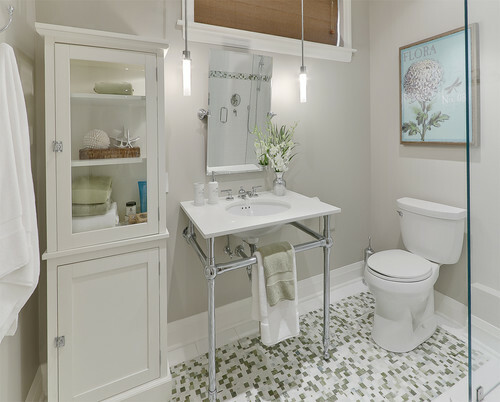 While you might not go for platinum faucets, you can use beautiful silver, copper or nickel pieces to accent the bathroom & make it look top rated. Curbless showers open space and create a sense of luxury. The curbless design also pairs well with decorative tile and cutting-edge shower fixtures. If you have a shower already, you can redesign it to be smaller and more open. If you have a bathtub, you might need to pull it out and start fresh. Three-dimensional tiles can serve as individual focal points or eye-catching alternatives to painted accent walls. 3-D tiles also range in price, making them affordable for most budgets. Make sure they don’t take away from the entire appearance of the bathroom, though. You might consider a backsplash for the counter area if you want the look as a smaller feature. Mediterranean-inspired design is a meeting of old-world style and modern glitz. This design style combines the elegant charm of terracotta with the glamor of modern metallic. 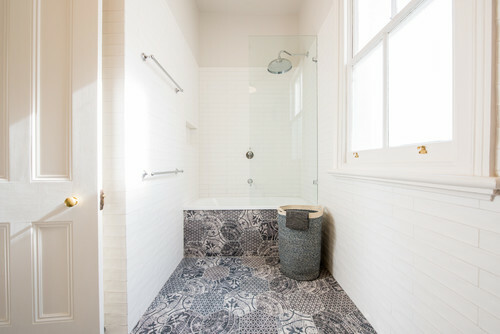 Mosaic tiles can also add richness to the space and accent the tub or shower area. Bare copper pipes match exposed brick and concrete accents. Speak to a contractor to see if exposing your copper pipes is right for your bathroom. Additionally, warm wood cabinets and drawers add to a rustic feel by creating an inviting atmosphere. Dramatic, somber colors are coming to the bathroom. The combination of white fixtures and dark colors prevents a gloomy feeling – especially when coupled with gold accents. If white seems like too much, consider neutral colors. Tans, creams and greys are a good compromise that still look nice. If your bathroom no longer gives you joy, maybe it’s time to rediscover a look that will break your notions about the space. Whether your space is small or large, the trends of 2017 will help to turn it into a place of relaxation and luxury. From cleaning the litter box to endless games of fetch, these 4 pet-friendly gadgets are must haves for any home with a furry friend. Our furry friends are such an important part of our homes. Today, we’re rounding up four of our favorite pet-friendly gadgets for your home that take care of everything from cleaning the litter box to endless games of fetch. Gadget #1: The Litter-Robot III Open Air – Cats are relatively low maintenance pets that don’t require much work and in return can be quite loving and cute. However, as any cat owner knows, there is one major hassle in owning a pet cat- dealing with the litter box. Traditional litter boxes are essentially plastic bins that cat owners must manually scoop out the clumps of cat poo and pee. This is a daunting task that needs to be done on a daily basis and can get quite overwhelming. Nonetheless, there is a miraculous solution to this issue — automated litter boxes that clean themselves. While there are several models of these techy cat bathrooms, the Litter-Robot III Open Air is head and shoulders above the rest. With a spacious litter chamber that rotates after each use, removing the clumps and separating them into a drawer, this magical product will leave your home odor-free and keep your cats happy. Additional features include an automatic LED night-light and a ‘drawer full’ indication so that you can easily dispose of the full trash bag in the drawer. The Litter-Robot III Open Air is wonderful for multiple, large and small cats. Best of all, you will never have to scoop litter again! Gadget #2: Petzi Treat Cam – Leaving for work every morning and having to be away from your pets for several hours at a time can certainly be heartbreaking. That’s why Petzi came up with a great way to stay connected with your pets when you’re not home. The Petzi Treat Cam lets you see your pets, speak to them, give them a treat, and snap a picture of their happy faces, all from the click of a button. They even have a social media platform for you to share the photos of your pets. Whenever you miss your pets, think about them, or even if you have a good daily routine set in place, you can reach out to them and show them you care. Having the ability to check up on your pets, to actually see them through a wide lens camera, is truly remarkable. Not only will it give you peace of mind, it will bring a smile to your face every time you see them enjoy a treat. When you’re not together, there’s no better way to stay in touch with your pets than the Petzi Treat Cam! Gadget #3: iFetch Interactive Ball Launcher for Dogs – If you spend a lot of time away from home and feel guilty about leaving your dogs behind, don’t fret, there’s a way to ensure that they have fun without you. If your dog loves playing fetch, the iFetch Interactive Ball Launcher for Dogs is the perfect toy for them. The iFetch website provides ample tips and videos to help you train your dog to use the device and learn how to play fetch on their own. Soon enough, your pup will be able to drop the ball into the machine that then launches it into the air. This amusing game will ensure that your dog gets enough exercise throughout the day while keeping things interactive and fun. Dogs no longer need their owners to play fetch with them and are now able to keep themselves entertained on their own! Gadget #4: Petcube Play – Another brilliant camera device that let’s you keep track of your pets and play with them remotely is the Petcube Camera. Although it probably works best with cats, also works well with dogs and has some enhanced features that differentiate it from other interactive camera devices. For starters, is has two-way audio, allowing you to fully communicate with your pets. When you miss your fur baby, you can now speak to your pet and listen and watch them in return. However, the reason it’s called the Petcube Play is because of its incredible built-in laser toy that lets you play and exercise your pet when you’re away from home. Keep them from getting bored and out of trouble by controlling the laser from your smart phone and watching them play through the camera. If you’re too busy, no worries, you can put the device on autoplay mode and keep your beloved felines and pooches occupied for hours! Thank you for reading my article and be sure to contact me, Jill Eber, of The Jills for all of your South Florida real estate buying, renting and selling needs. Building a new home is a pleasure not everyone gets to experience. You get to construct your home exactly to your taste, with the components and finishes you want and can afford. Often you’ll be deciding what is worth the money to do now and what you’d prefer to save as a renovation project to do later. There are a number of factors to consider, including how long you plan to live in the home, whether you’ll be able to put upgrades directly onto your mortgage or pay out of pocket, and what upgrades are valuable for resale. Upgrading later by doing it yourself can sometimes be a good plan allowing you to avoid paying the builder’s premium. But sometimes waiting will not only not save you money, it will cost you more in the end or create a headache when the upgrade is finally addressed. So here is our now-or-never list: upgrades that will be difficult, costly or nearly impossible to do later. If you’re building a new home, you’d be wise to check these off the list now. Before construction can begin, the builder has to finalize plans and submit them to your city, town or county for approval and permits. Depending on your builder and where you live, this may mean you’ll have an opportunity to make some changes to your plan prior to submission. One big element to address now is the staircase. If you’re building your home with a production builder — that is, a builder constructing a home development, usually in a suburban neighborhood — the typical builder’s-grade staircase is carpet over plywood. Unless you’re prepared to rip out the entire staircase later, which is no small feat, now is the time to request solid wood. Wood staircases come in different varieties, so be sure to ask what your builder offers and at what additional charge. Wood upgrades are usually either oak or maple, which have very different looks. Oak has a heavier grain, while maple is smoother and more subtle in texture. These woods also differ on price, with maple being the more expensive. Do you want a stair runner? If you’re on the fence, then wait. That way, you won’t have marks from installing the carpet left in your wood if you change your mind. If you plan to upgrade to solid wood stairs, the other thing to consider is the flooring that abuts the staircase. 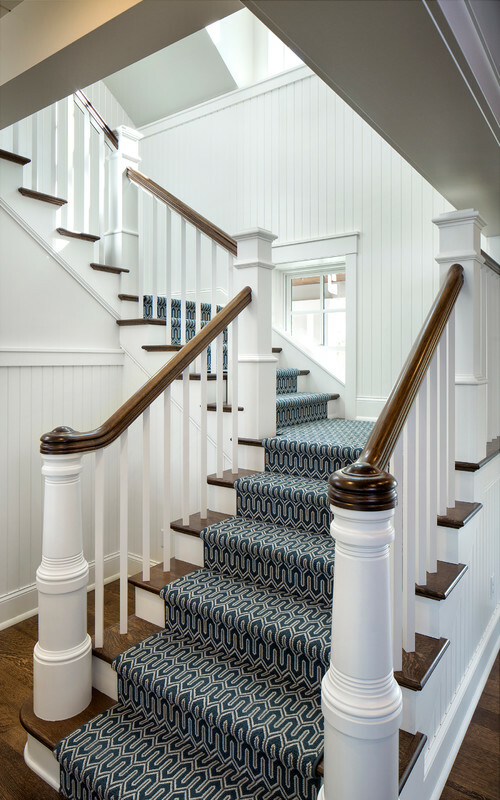 The stairs are stained on site, and if you select a prefinished flooring, it’s important to ensure that the stain used on the staircase is the best possible match. Bear in mind that an exact match is unlikely, but you’ll usually be able to get pretty close. Ask questions and be involved in the stain selection process, or at least make sure the painter custom-mixes a stain to work with your flooring. While can lights themselves are generally inexpensive to buy at any big-box store, installing them is another matter. Avoid the hassle of an electrician cutting into your brand-new drywall to install the lights and switches. If your builder has an upgrade, just go for it now. Two of the first elements to be installed in your home after framing are the bathtubs and showers. If you want an upgrade such as soaker tubs, jets or multiple shower heads, plan for it now. Once tubs and showers are installed and tiled, they require a sledgehammer to change out later. Structural upgrades in the bathroom that would require a full remodel to do later are wise to tackle now. These include tiled niches — perfect for soap and shampoo bottles — as well as half walls for glass shower walls and doors. 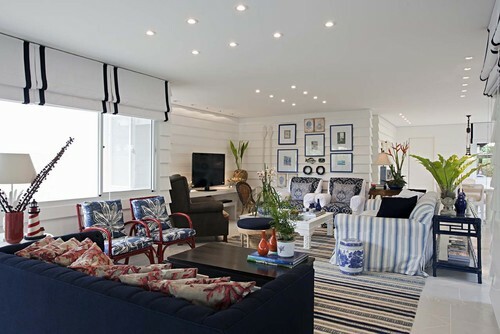 You might also think about how you can incorporate niches and half walls in other areas of your home, perhaps for displaying art or partitioning rooms, respectively. Any remodel that requires framing and drywall is messy and disruptive, so unless you’re prepared to live with the dust, now is the time to discuss these ideas with your builder. Radiant floor heating is nice to have, especially in the bathroom to warm your tootsies on what would otherwise be cold tile. But this is one of those items that needs to be done before the tile is installed, so keep this in mind if it’s on your wish list. Installing it later is a big job that requires busting up the tile first and having a clean subfloor on which to install the product before tiling again. Some builders include this, while many offer it as an upgrade. Access from the garage to the house is a great feature, allowing you to avoid the elements. Because of grading, there are some circumstances where a door to the house from the garage is not possible. Be sure to ask so you aren’t surprised later. Have a close look at your plan and find out whether it’s possible to upgrade the windows or add more. 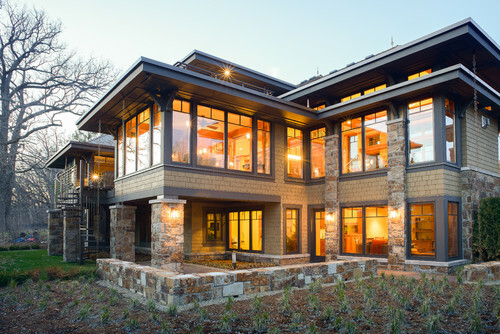 Depending on your city’s bylaws regarding the percentage of glass you can have in correlation with the distance to the property line, your builder may be able to add a couple more windows to your plan or enlarge the ones that are already there. Also, if you like the look of windows with mullions, this may be an upgrade as well. 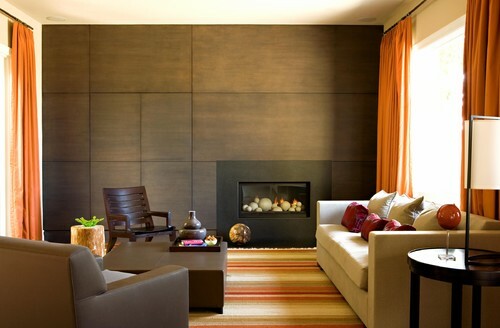 To decide whether to tackle this project now or later, consider these facts about gas fireplace installation. For starters, you obviously need to run a gas line to the fireplace location. If you want your fireplace to be flush with the wall, you’ll usually need a foundational bump-out to support the weight of the unit, and that must be on the plans early. If you like the look of a flush fireplace wall, such as the one in this photo, building one later would become a pretty major structural renovation, so best to do it now. If it’s too late to build the fireplace out the exterior wall, the unit must be installed into the room, usually framed into a drywall box-out. It’s possible that you’d be able to select the depth of the box-out — as in, how far into the room it will go — to accommodate flanking bookcases, for example. This is also a good opportunity to have an electrical outlet for your TV installed above the fireplace, if you desire. Also, if you require a gas line for your kitchen range, it’s best to do it now. An item that is really impossible to upgrade later is the type of insulation you have in your walls. Builders will usually use batt insulation at the minimum code requirement, but often you’re able to upgrade to a higher value batt, or a more expensive spray foam. Looking to have a future music or theater room? Ask about your soundproofing options now, as this affects both the type of insulation and drywall used. One pretty valuable upgrade, in terms of function and resale value, is the basement bathroom. It’s inadvisable to finish a basement within the first year of its build. Among the reasons: The foundation needs time to settle, the concrete needs to dry and finishing it too early could void a new homeowner’s warranty. But preparing for finishing it is wise. Upgrading to add the basement bathroom rough-in, which means the ABS pipes and drains are in place and ready to go, is something that will be costly and disruptive to do later. Anything that is wired in your walls is best done when the house is being built, along with your other electrical work. Think speakers, outlet placement, conduits for equipment wires, data ports, alarm systems or smart-home technologies. Again, punching holes in drywall all over your house to accommodate these items is more than an inconvenience, and it’s an expense you’ll want to dodge. Do you know which real estate brand helped find homes for over 20,000 dogs? What does the international real estate brand Coldwell Banker and the pet adoption website Adopt-a-Pet.com have in common? One word: home. The calling of Coldwell Banker agents is to help people find a place to call home, which with one small word change–“people” to “pets”–is the same mission of Adopt-a-Pet.com. The two companies first partnered together in 2015 on the Coldwell Banker Homes for Dogs Project to help 20,000 adoptable dogs find loving homes. The goal of 20,000 adoptions was achieved in 9 months and the Project has since grown even wider thanks to the help of Coldwell Banker offices across North America working with local shelters to host adoption events and bring awareness to this cause. To that effect, a National Pet Adoption Weekend will be held September 9-10 to unite even more animals with a forever (fur-ever?) home. The initiative was originally inspired by the welcome home dance any pet parent gets when they walk in the door after a long day. Coldwell Banker captured this magical micro-moment in our ad campaign titled “Home’s Best Friend.” That story then evolved to feature lovable pups doing funny things in our 2016 campaign, “This is Home. This is Awesomeness.” And this year, in 2017, the current Coldwell Banker ad campaign “Somebody to Love,” shines a light on the Homes for Dogs Project and the landmark number of homes and dogs connected through the program. At Coldwell Banker, we know that a home is made up of all of the things we love, including our furry friends. To learn more about the Homes for Dogs project, visit coldwellbanker.com/homesfordogs. And if your home is missing a little “Somebody to Love,” visit adopt-a-pet.com to find an adoptable pet in your area. When shopping for a fixer-upper home, some properties have potential beyond their appearance. Keep the following tips in mind as you look for that home. Location is one of the most crucial factors to consider as you look for possible homes. Unlike the style and even structure, no amount of time, effort, or money can change a home’s location. To find the best neighborhood for you, it can help to visit the area multiple times at various hours. This will help reveal the local culture and activity to be expected from neighbors. Look for a home with sound fundamentals and an appealing floor plan. Cosmetic improvements like new paint, lighting fixtures, and flooring are relatively cheap and easy to change, while work on plumbing, electrical systems, structural walls, or cabinets are more difficult and expensive. Typically, the most expensive change involves altering a home’s structure. You may want to hire a contractor in your search if you know you want to make changes to a home you plan to purchase. 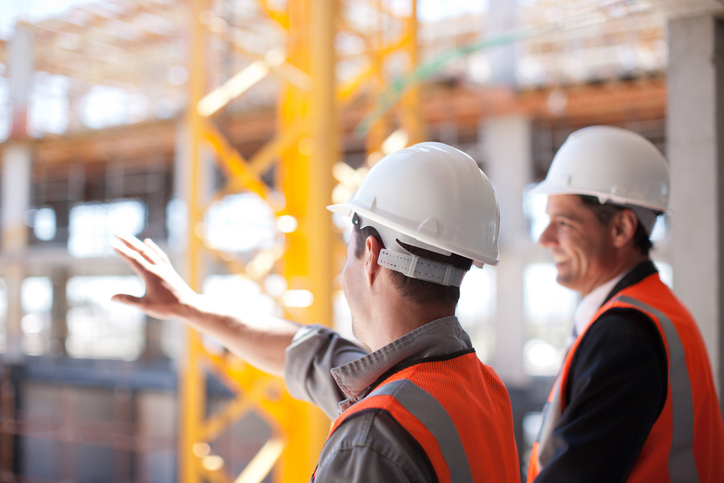 A contractor can help you better understand what kind of commitment a given home will require. Many remodelers will visit a potential purchase at no charge to give an estimate of how much the work would cost. This is valuable information when comparing different homes with one another. Examining a home can be a complex process, and looking for one with unused potential can make it more difficult. Keep in mind that homes older than 50 years are likely to have similarly aged plumbing, electrical, heating, and other systems. The home may also be worn out or too outdated to remodel. Real estate agents are valuable resources. They can help you understand a home in the context of its neighborhood and area, and may be able to offer advice on how to increase the value of the property after purchase.